48 year old tennis player presents with h/o gradually increasing lum on the upper lid. What is the diagnosis and management? Merkel cell carcinoma (MCC), sometimes referred to as a neuroendocrine carcinoma of the skin, arises from the uncontrolled growth of Merkel cells in the skin. It is a rare skin cancer with roughly 1500 cases per year in the United States, making it about 40 times less common than melanoma. MCC has the potential to be lethal, and thus prompt aggressive treatment is warranted. It usually develops on sun-exposed skin (e.g., head, neck, arms) as a painless, firm, flesh-colored to red or blue bump. 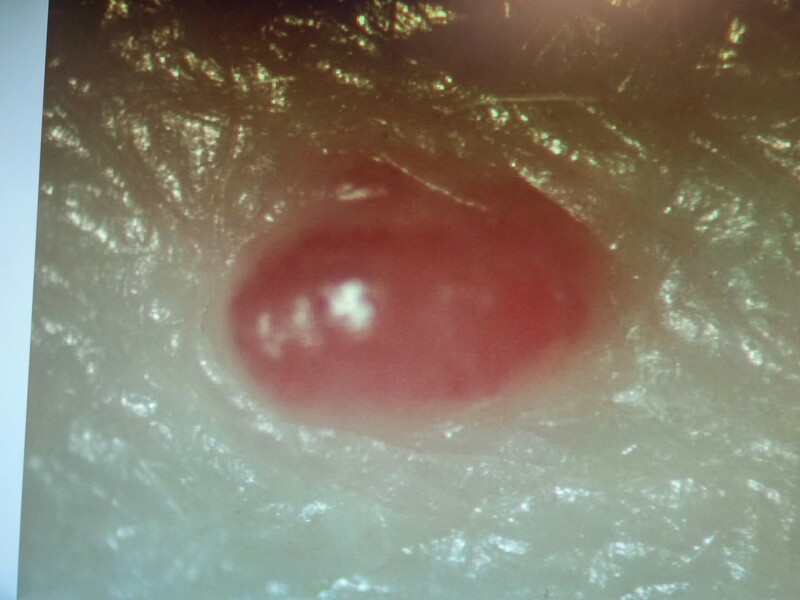 Stages I & II MCC are defined as disease that is localized to the skin at the primary site. Stage I is for primary lesions less than or equal to 2 centimeters, and stage II is for primary lesions greater than 2 cm. Stage III is defined as disease that involves nearby lymph nodes (regional lymph nodes). Stage IV disease is found beyond regional lymph nodes.